Need this for my bedroom. Great for that room that needs a little something to heat or cool. This is the second one we own. Need a little extra heat in the bathroom. This is my second Comfort Zone unit purchased. 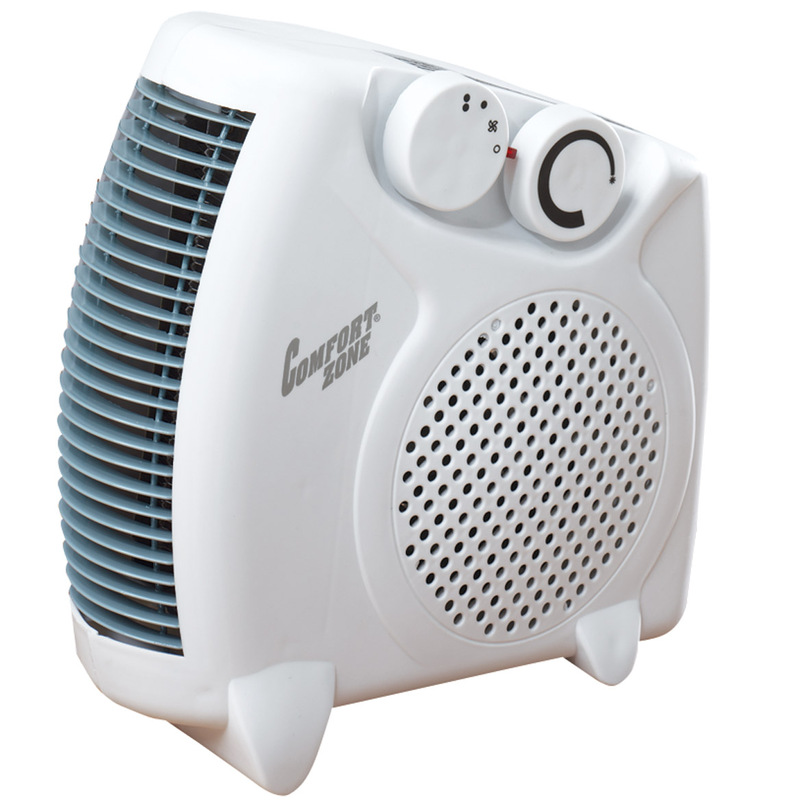 Great little heater, and remarkably low priced. Go for it! You'll be glad you did! for a coworker who is always cold in the office because the air conditioner will not allow for her to adjust the temperature in the room. Been in the room and it is very cold. Because it is a heater and a fan. I Always Had To Clean And Put Away My Fan In The Winter And My Heater In The Summer. Now I Just Turn The Dial From Heater To Fan And Never Have To Change Place Or Move Things Around For Space And The Fan Motor Is Powerful It Moves The Air Around The Room. Best Of Two Worlds. Walter Drake Always Has What I Need When I Need It. Great Company ! 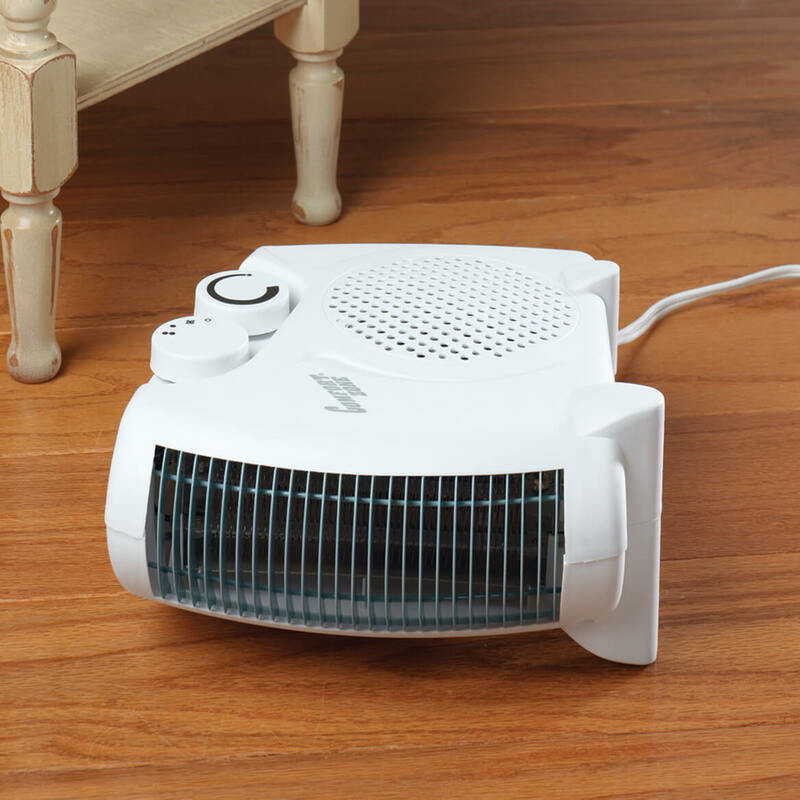 Need a small heater and the reviews were good. It seems like a good product. Husband needs one for his office. His hands and feet are always cold! To warm an office that gets cold in the winter months. This is just what I need when I take baths. My bathroom is cold . A group I belong to needs a heater for a small space. I will see if this can heat that space. I have one of these already, but they heat up so well that my husband took it to work to combat his chilly office until the building’s heating system Is upgraded. And he says it’s just what he needed. So, I’m buying another one to make sure my Yorkie is comfy when the temperature drops at night. I’m glad I found this in your catalog, as I do not remember where the first one was purchased. I need a little heat in my very large bathroom. To heat the room I'm in, not the entire house. because I'm a very cold nature person, I think this the best purchase for me. This Heater and fan works perfectly in my kitchen !!! Need a fan and this can sit longitude or latitude. Good price. Runs on electricity which is what I want. because of the size, I think it will work under my desk at work. Need small heater for our bedroom ð??? My room is the coldest in house and have a couple kittens that I'm trying to save and need to warm them up! BEST ANSWER: Thank you for your question. The high setting is 1500 watts and the low setting is 750 watts. We hope this information will be of help to you. How loud is the fan on a scale from 1 to 10? We are looking for one for a bedroom and would like it to also serve as "white noise" as we are both light sleepers. The fan is very quiet i hardly hear it running and i have used it alot this past winter . I have used it in my living room also i live in a double wide and i left it on all day couple times and it kept the whole house at a comfortable 68 most of the time. saved me a bundle on propane and didnt cost any more than my airconditioning does in the summer using it daily. Can it be used safely in a bathroom? Can be used in a bathroom because all exposed surfaces are plastic, however it does not have a 3-wire grounded plug. It also doesn't have a safety circuit breaker at the power plug like a hair dryer would. I never used in bathroom . I USED IT IN A POP UP CAMPER AND HAD NO ISSUES . WORK GREAT.